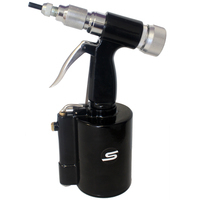 The Rivnut/Nutsert Tool combines air hydraulic flaring and manual unwinding. It sets alloy and steel rivnuts 4mm - 10mm. Ideal for tradesmen and the handyman. 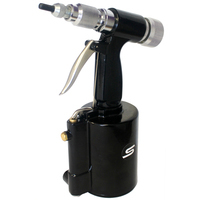 Stealth Air Tools are proud to release this Rivnut Nutsert Air Hydraulic Tool. Combining air hydraulic flaring and manual unwinding, sets your nutsert/rivnut with ease without high air consumption (using the same air requirements as an Air Pop Rivet Gun). It will set alloy and steel rivnuts in sizes 4mm/5mm/6mm/8mm/10mm. For use in the automotive, sheetmetal, boat, aircraft and fitter maintenance industries; and anywhere a thread may be required in steel and alloy sheet panels, fibreglass and timberboard, where welding or tapping a thread isn't an option. Why buy the Stealth Rivnut Air Tool? Rivet nuts have been around for a long time, and there have been severeal problems with the current tools on the market. 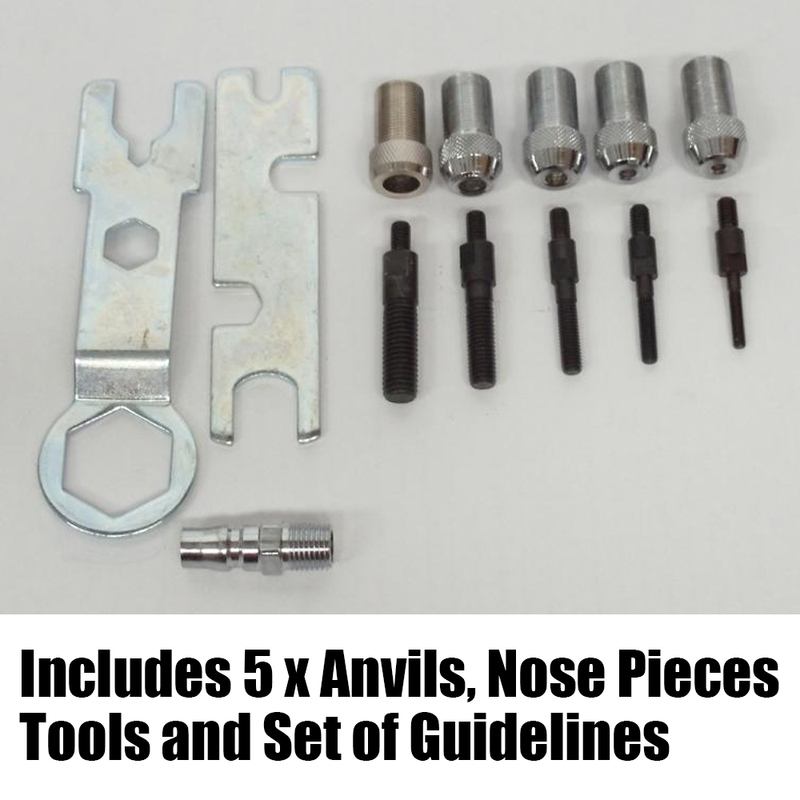 The manual tools are okay to use for one-off jobs where small size rivet nuts are needed. To set 6mm to 10mm rivets manually, the pull length needed is high, and if pulled off centre your thread is not straight. We have rigorously tested these units setting around 1500 rivets ourselves. We've also supplied several tool trucks with this product and received great feedback. Easy to operate in any position. 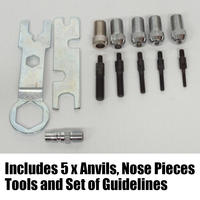 Comes with the necessary tools for changing nose pieces and anvils. Nitto air fitting and instructions included. Spare Mandrels and Spindle Guides are available here. This product is covered by a 12 month - no questions asked warrantly. Many spare components and seals are provided as spare parts at time of sale. 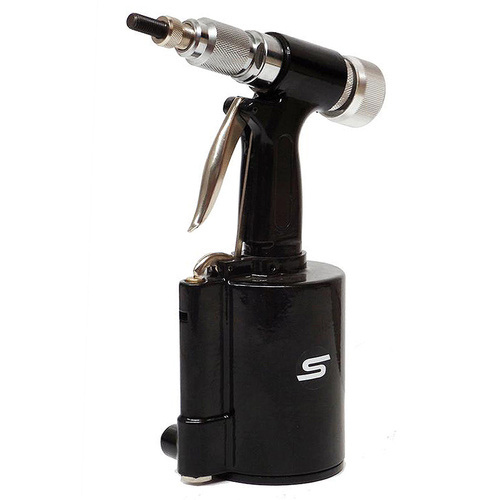 During the warranty period, spare parts will be shipped at our cost. 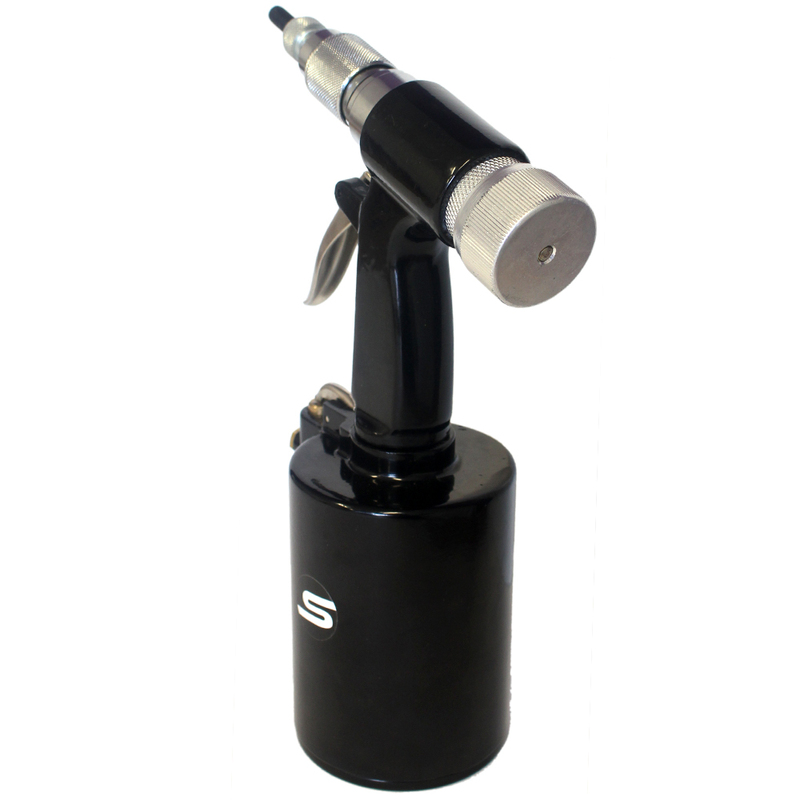 Anvils, mandrels and spindle guides are considered consumable items and not covered by warranty. We do carry spare anvils, mandrels and spindle guides.